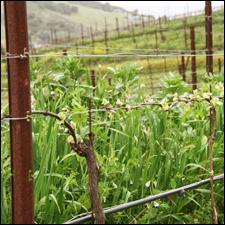 Ampelos Cellars uses sustainable, organic and biodynamic agriculture in its vineyards. Is Being Sustainable Worth It for Wineries? If you had to select between two 92-point wines of the same variety, appellation and price, but one was made with sustainable winegrowing practices and the other was not, would you choose the sustainable wine? What if it cost $5 more? Research has been mixed on whether consumers are willing to pay more for eco-labeled wines, and yet the number of wineries adopting sustainable practices continues to rise. But a new study by a team of researchers in Italy, Spain and California claims winery owners believe sustainability makes economic sense in the long term. The study, by researchers at Spain’s Universitat de Barcelona, California’s Sonoma State University and Italy’s Università San Raffaele and Università degli Studi di Macerata, was presented this summer at the Academy of Wine Business Research Conference in Germany. The authors note that more wineries are adopting sustainable, organic or biodynamic techniques in their vineyards. More than 1,800 grapegrowers and wineries have participated in the California Sustainable Winegrowing assessment, the first step toward receiving certification. Sonoma County Winegrowers has launched an effort to have every Sonoma winery certified sustainable by 2019. Multiple programs exist in other major wine nations. Sustainability is generally defined as using business practices that are environmentally friendly, socially equitable in terms of treating employees and community fairly, and economically viable in the long term. In the wine industry, this means that sustainable-vineyard owners attempt to create healthy soil with compost and cover crops and by reducing the use of pesticides. They also try to avoid wasting water and energy in both vineyard and cellar. What’s required varies by certification program. For the new study, the international team of researchers surveyed 260 winery owners in Italy, Spain and California about whether they have adopted sustainable approaches, whether they have continued such practices and whether they see business benefits. The wineries were not asked whether they were certified. Results show that a comparable percentage of wineries in all three countries saw a clear business benefit in implementing sustainability strategies. Only 6 percent indicated they had tried to implement sustainable practices and abandoned the effort. The benefits the wineries saw varied by country. For example, many of the Spanish wineries believed they profited by highlighting their sustainable efforts to consumers and improved their relationships with distributors. Being green or sustainable set them apart. In Italy and California, however, winery owners found that adopting sustainable strategies actually allowed them to focus on cost reduction. They reported reducing waste and improving operational efficiencies. The authors noted at the conference that many surveyed wineries also believed that their wine tasted better, which was reason enough for them. All of the wineries surveyed were small- or medium-size businesses, and many were family-owned, a fact linked to another common reason winery owners gave for going sustainable: They believe in preserving the environment—and their businesses—for future generations. Spain’s Miguel Torres said he began focusing on sustainability because of the threat of climate change. Fintan du Fresne, winemaker at Chamisal Vineyards in California's Edna Valley, agreed. "At this point, the benefit to being certified sustainable is still less about selling more wine," he said. "It’s about looking critically at the winery’s environmental, social and economic impacts. Philosophically it’s the right thing to do." Sadly, there is nothing sustainable about Biodynamic farming, it involves homeopathy and astrology, and a blind adherence to a delusional Rudolf Steiner, who directed farmers to stuff animal intestines with plants to invoke cosmic energies. Magic in the vineyard is not farming, it is crass marketing. When it comes to organic grape growing, the pesticides organic growers use are much more toxic than synthetic options, as the organic pesticides require 24 hours before re entry when synthetic options only require 8-12 hours. Sustainability must be science based, otherwise it is counter productive. The legal definition of Biodynamic in the marketplace is based on the Demeter Farm and Processing Standards which can be found here: http://www.demeter-usa.org/downloads/Demeter-Farm-Standard.pdf. I would recommend that people read it before forming inaccurate opinions of what it means to be Biodynamic in wine or any other type of product or farm. The Farm Standard dates back to the beginning of the modern sustainable farming movement and upholds the concept of a farm as a self-sustaining system, a living organism, which is the fundamental concept of "sustainable" agriculture itself. The core principles are quite comprehensive and include: biological diversity; generating fertility, disease, weed, and insect control on the farm instead of importing it from the outside; utilizing the Biodynamic preparations; on farm water and waterway conservation; integrating animals; and minimal manipulation of processed product ingredients to ensure that the integrity of the agriculture defines the finished products. There is close attention paid to any imported inputs, both "organic" and "synthetic", because the goal is to create a balanced agricultural eco-system not dependent on outside inputs. Good farming, and great winemaking, doesn't get more sustainable than that. The three major approaches to eco-friendlier agriculture—sustainable, organic and biodynamic—share many similar practices but differ in their overall philosophies. John Hilliard has done a lot of research personally on the different farming methods and come up with strong opinions on what sustainability should mean. The Sustainability in Practice (SIP) certification that Hilliard Bruce Vineyards holds is an established, well-thought-out program in California with clearly defined standards for sustainability across a wide range of practices in winegrowing. However, while the use of the term "organic" is regulated by the U.S. government, with nationwide standards for compliance established under the National Organic Program, "sustainable" does not have a similar legal definition in this country. In the absence of that, the term "sustainability" is often either broadly defined--environmentally friendly, economically viable and socially equitable in the treatment of employees, neighbors and the community, with the goal of continuously improving—or defined very specifically for a certain area or crop by regional certification programs that set standards based on their area's climate, pest issues and environmental challenges. And sometimes "sustainability" is loosely used for anything that encompasses environmentally friendly methods. The study covered here, titled "Perceptions of Sustainability Strategies," appears to have used a broader definition, including organic and biodynamic, to evaluate winery perceptions about "green" practices and chose not to limit its definition to specific certifications. In fact, some regions' sustainability initiatives credit organic and biodynamic certifications as equivalent substitutes, and some producers and growers hold more than one certification. As Hilliard Bruce Vineyards notes, there are different approaches for determining "safer" or "better" when it comes to pesticides, from the volume applied to how often they are applied to different ways of measuring human and environmental toxicity to the carbon footprint of their production process. The National Organic Program has a set list of prohibited (generally "synthetic") and permitted (generally "non-synthetic") substances reviewed by a board and approved by the USDA. Regional sustainability certification programs, on the other hand, may choose to allow or prohibit different sets of products, and restrict the amount or number of applications. These decisions are based on what they feel makes the most sense for local practices, such as choosing pesticides that don't leach into the water table in an area above an aquifer. These are not easy choices for farmers as each pesticide and its alternative has trade-offs. An approach that works for one person or one property may not work for another. As far as biodynamic farming, a set of seemingly mystical practices (buying cow horns, etc.) often gets all the attention at the expense of the true environmental benefits. Certain aspects of this approach, first developed in the 1920s and 30s, are controversial. But as practiced by many farmers today, including many top-quality producers around the world, biodynamics takes a holistic approach to farming that overlaps with many of the practices used by sustainable and organic producers—from the use of cover crops and compost to efforts to increase biodiversity on the property. In the end, a successful organic vineyard is about more than a national list of permitted and prohibited substances, and a successful biodynamic farm is based on much more than "magic." Many of the producers and growers who trouble themselves to get organic or biodynamic certification choose to adopt other sustainable practices, such as energy-efficiency in the winery and better working conditions for employees. Those I have met and interviewed have largely given their decisions careful thought, just as committed sustainable producers do. One of the questions posed by the author, does the consumer value sustainability? Where I do business, the answer is no. As a retailer, primarily wine, I get almost zero interest from my customers about sustainability. Occasionally a customer will ask about organic wine and it's relationship to sulfites. On the other hand, the many suppliers and winemakers that I talk to, spend quite a bit of time talking about sustainability. I would rather they talk about food pairings and style which is of more interest to my customers. I think the US study cited here is deeply flawed and very superficial and I would not put much faith in it. Organically or Biodynamically grown wines will not appeal to all sectors of wine buyers, but study after study shows that the LOHAS (lifestyles of health and sustainability) demographic are far more likely to buy wines that cost more than $20 than any other group. So marketers must decide if they are interested in appealing to that sector. Currently France, Italy and Spain EACH make 10 times more organically grown wine than the U.S. does. And Europe consumes 5X as much organically grown wine as the U.S. does. In France, the government has a program not to make wineries sustainable but to reduce pesticide use in vineyards by 50% in the short term. In Tuscany, the government is focused on preserving the land from too much vineyard planting. In the U.S. there has been tremendous damage to organic viticulture from the no added sulfite law, which is unlike any other country in the world. There are many high end producers who bottle label their organically grown or Biodynamically grown wines…including Storybook Mountain and Volker Eisele in Napa, Porter Creek and Preston Farm & Winery in Sonoma, Qupé in Edna Valley and Brick House in Oregon. This is the vanguard for organically grown fine wine. I've just researched 1,200 wines from certified vines…more than 370 had 90+ point scores. In a democracy so wonderful as our own, confusion turns into chaos from the sheer lack of willingness to have an orderly society. How did France, Italy & Spain estabish their wine global presence? It was not the tongue waggling of the comments I read above. It came from the pride of the citizens of each nation to represent their craft. It is very difficult in a nation-state, where "cowboys, mavericks, et.al" are considered "heroes" to establish a center gravity for its citizens. The issue is environment but the arguement is dollars. It's a pity that my grandchildren will have to "make do" based on the interest of profit & not the environment.